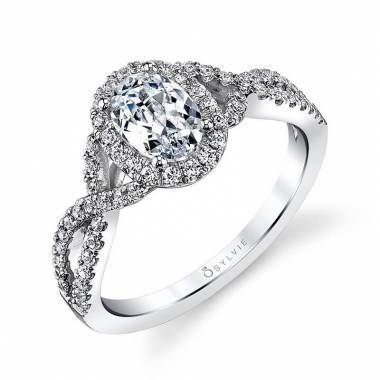 This gorgeous modern spiral engagement ring features a stunning 1-carat, round brilliant center diamond, wrapped in a single halo of shimmering diamonds that spirals effortlessly down the shiny rose gold band. 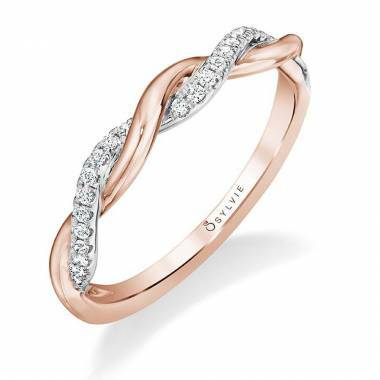 The spiraling bands are the perfect balance between elegant and glamorous. 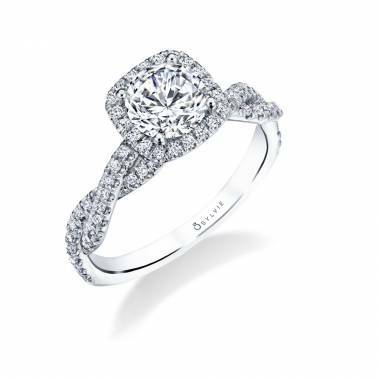 The total weight of this setting is 0.23 carats.